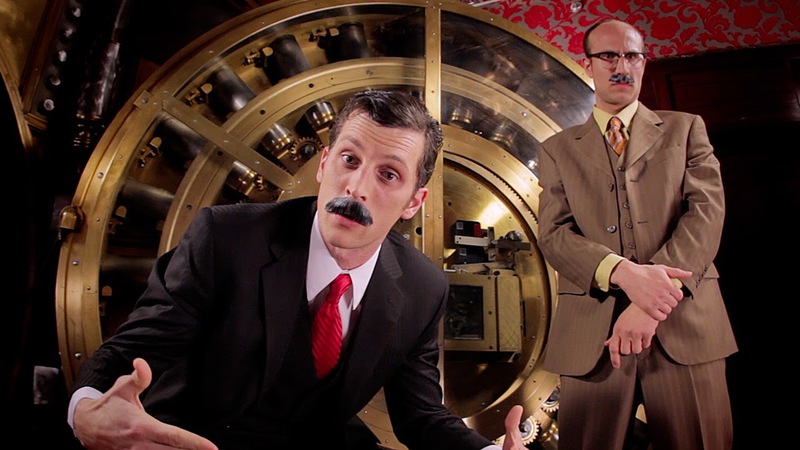 Chick & Tily on whatever happened to Keynes’s monetary theory? New Cambridge Journal of Eeconomics paper by Victoria Chick and Geoff Tily. Some see a return to Keynes’s ideas in response to the crisis that began in 2007, but we argue that the resurrected ideas belong to that betrayal of Keynes’s thought known as ‘Keynesian’ economics. What happened is almost a reversal of the Whig history view of economics, in which past knowledge is embodied in later theory: Keynes has been made a pre-Keynesian. We trace this transformation mainly through his monetary theory, though we range more widely where necessary. We state what we consider to be his monetary theory, then identify and summarize the key contributions to its destruction. 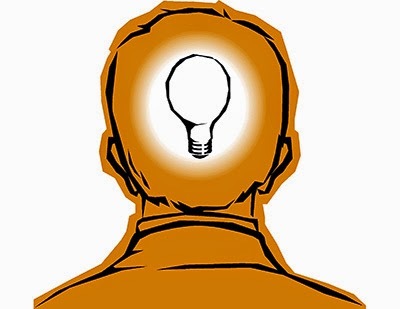 Then, in a speculative section, we suggest a variety of motivations for this subversion of his ideas. We end by assessing what has been lost, in particular his monetary policy, and suggest social and political pressures that may have been partly responsible. Read the rest here (subscription required). "Influential papers such as Reinhart and Rogoff (2010) and Reinhart, Reinhart, and Rogoff (2012) argue that there is a threshold effect: when debt in advanced economies exceeds 90 percent of GDP there is an associated dramatic worsening of growth outcomes. Others dispute the notion that there is such a clear threshold and suggest that it is weak growth that causes high debt rather than high debt that causes weak growth (Panizza and Presbitero, 2012; Herndon, Ash, and Pollin, 2013). Using a new approach we found little evidence that there is any particular debt ratio above which growth falls sharply." Not that there was much of a debate at this point. Professor Steve Keen on Krugman's brush-off of heterodox economics. “Here’s the story they tell themselves: the failure of economists to predict the global economic crisis (and the poor policy response thereto), plus the surge in inequality, show the failure of conventional economic analysis. So it’s time to dethrone the whole thing -- basically, the whole edifice dating back to Samuelson’s 1948 textbook -- and give other schools of thought equal time. “Unfortunately for the heterodox (and arguably for the world), this gets the story of what actually happened almost completely wrong. “It is true that economists failed to predict the 2008 crisis (and so did almost everyone). But this wasn’t because economics lacked the tools to understand such things -- we’ve long had a pretty good understanding of the logic of banking crises. What happened instead was a failure of real-world observation -- failure to notice the rising importance of shadow banking. "Finance has driven income inequality, because credit booms accelerate economic growth and because bankers tend to be rich. In the US income inequalities sharpened in the information-technology boom in 2000, again in the housing-finance bubble in 2007, and yet again as the banks and the stock market recovered after 2010. Across the world, income inequality became more marked in the two decades from 1980. The trend started with the global debt crisis in Latin America and Africa, swept through central and eastern Europe, and moved on to Asia. Only countries that were outside the global financial system (notably China and India) were largely unaffected in the 1980s – though in the 1990s inequality rose with market reforms in both places. Worldwide, as a very broad generalisation, it seems that inequality peaked in 2000. Political structures matter: social democracies are more egalitarian. Institutional changes matter: military coups (Chile in 1973, Argentina in 1976) precipitated rising inequality. Revolution (Iran in 1979) brought a sharp fall. The rise in the 1980s and 1990s was stronger in countries with weak institutions and weaker in countries with strong ones." Neoliberalism was the culprit. There is much nuance lost in the current debate on Piketty's Capital. Read rest here (subscrition required). "On March 15 2012, we lost Professor Alice Amsden, a great intellectual power in development economics. Her work was systematically marked by creativity, origi- nality, relevance and her fearless commitment to always speak truth to power both in academic as well as in policy-making arenas. This In Memoriam concentrates on just one part of her great intellectual legacy: her impact to better understanding Latin America’s development challenges, obstacles and policy options. Our paper focuses on three broad areas of her main influence in the region: the role of transnational corporations, the importance of manufactured exports for development, and industrial policy. As we here argue, in all of them, her work is and continues to be a substantial contribution to knowledge that policy makers will be well advised to take into account if the region is to finally enter a path of structural transformation and sustained economic and social development." Brad's idea is not bad, I mean of a taxonomy of the reviews of Piketty, but his take is neither useful to understand the differences, nor constructive for dialogue. So here is my very brief taxonomy. There are only a few that I included, not because these are the more important necessarily, but because they seem to be representative. I made two analytical distinctions. Mainstream and Heterodox, which is based on the theoretical background, and whether the authors accept the Neoclassical paradigm or not (Murphy and Austrians do, in a confused way). Also, reviews are classified as favorable or critical of the policy prescriptions in Piketty's book. Basically, one distinction is theoretical and the other is policy oriented. Note that the interesting thing that emerges is that there are NO, at least to my knowledge, Critical Heterodox views, that is, heterodox authors that are against higher taxes and wealth taxes. The basis for the mainstream critiques (Cowen and Murphy) is that taxes create distortions and lead to lower growth making things worse. After all greed is good, or something like that. This comes from the more radical fringe of the pro-markets are efficient wing of the profession. The conventional defense of Piketty is basically based on New Keynesian (or old in the case of Solow) views, and it suggests that market imperfections are sufficiently large that there is space for redistribution, and tax policy is the main way to go to redress the increase in inequality of the last 30 years. Finally the Heterodox views (Galbraith, Palley and Lance Taylor), and here I included a non-economist, David Harvey that follows a distinctly Marxist view,** which all suggest that Piketty raises and important point, which has been discussed by heterodox economists forever, that the empirical analysis is also an addition to our understanding of inequality, but that there are theoretical flaws, which both mainstream groups (Piketty would be closer to a New Keynesian, and he is a Socialist, or at least supported Holland in the last election) share, and that this limits, but does NOT disqualify the argument for redistribution. This illustrates also a point made in this blog for a while. On the one hand, heterodox groups are politically closer to some New Keynesian authors, which, however, remain firmly based on the orthodox notion that markets unimpeded by imperfections produce optimal outcomes. Once, the New Keynesians get rid of some of the limitations of their theoretical framework, the essential being the natural rate (of interest or unemployment), their political argument would be more coherent and stronger. * The ones that are wrong or distract point to the logical flaws in Piketty's theoretical model, by the way. ** I didn't include Cassidy's good review, simply because as a journalist the mainstream/heterodox distinction doesn't quite apply, but his views are fundamentally favorable. By the way, the Financial Times, also would not fit that dichotomy, but it certainly fits more clearly the political one, and has come clearly against Piketty for his empirical mistakes (here). For a response see Branko Milanovic here (h/t Daniele Tavani). My post on Robert Murphy's critique of Piketty generated a few comments, and a good debate (see the comments section here). But there are a few things worth clarifying, and also Robert pointed out a post by Nick Rowe, which is also worth discussing in more detail. 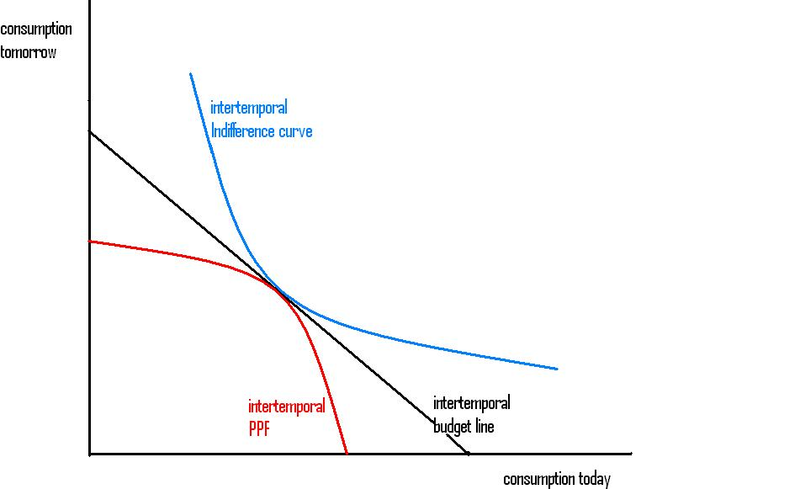 As I noted before there seems to be a confusion among Austrians, which think that their notion of the rate of interest is purely based on intertemporal consumption (savings) preferences, and is not open to the problems of the capital debates (this is as old as Austrian economics, by the way; for more below). It would not be, in their view, equivalent to the natural rate of interest of Wicksell and the Loanable Funds Theory of the rate of interest. "If a firm hires a specific capital good for a unit of time, the payment is the rental price of the capital good. For example, suppose that a warehouse pays $100,000 per year to an independent company that maintains fleets of forklifts. These annual payments are clearly due to the "marginal product" of the forklifts; the warehouse can sell more of its own services to its customers when it has use of the forklifts. However, these technological facts tell us nothing about the rate of interest enjoyed by the owners of the forklifts. In order to determine that, we would have to know the market price of the forklifts. For example, if the forklifts that the independent company rents out to the warehouse could be sold on the open market for $1 million, then their owners would enjoy a 10-percent return each year on their invested capital. But if the forklifts could be sold for $2 million, then the $100,000 payments—due to the "marginal product" of the forklifts—would correspond to only a 5-percent interest rate. As this simple example illustrates, knowledge of the marginal product of capital, per se, does not allow us to pin down the rate of interest." Note that this is a triviality, and by no means contradictory with the conventional neoclassical analysis. It only says that the rate of interest specific to a particular capital good (forklifts) and its price are inversely related. That per se, certainly does NOT mean that "the relationship between the productivity of capital and the interest rate is not [direct]." The point is that, in marginalist economics, the entrepreneur would 'hire' more capital to the point were the additional (marginal) cost would equalize the additional (marginal) revenue that can be obtained from using one more unit of capital, and the latter would depend on how much more output the additional capital (forklift in this case) unit would bring. So according to changes in prices of the capital good, and, as a result, of its rate of return, the capital good would be used if it provides a gain over the interest rate. If there is an advantage in using the capital good (forklift), then more will be used, pushing its price up, and bringing its remuneration down into equilibrium with the rate of interest (the natural one). The point of the capital debates (go here) is that there is no reason to believe that a certain technology (forklifts) would be more profitable at low rates of interest, while at higher rates of interest firms would switch to manually powered hoists (more labor intensive, arguably), for example, to lift the cargo. It would be even impossible to define clearly that one technology (forklifts) is more capital intensive than another (manual hoists). The point is that there is no relation between intensity (relative scarcity) of the use of a capital good and its remuneration. For example, in the conventional story if the price of the forklift goes down, more capitalists would be willing to buy it, supposedly substituting other technologies (which are now relatively more expensive for the cheaper one). Yet, the fall in the price of the forklift might reduce the remuneration of the producer of forklifts, even if demand increased, since the increase in the quantity sold might very well be trumped by the effect of a lower price. Also, and more importantly for us, the decrease in the price of forklifts might lead to a reduction in the demand for forklifts. This could be the case, for instance, if the decrease in the price of forklifts and lower remuneration reduces the forklift producers' demand for other goods, which are produced, in turn, using forklifts, leading to a lower demand for forklifts. The changes in the price of the forklift, and its remuneration, are not directly correlated to its relative use (how many forklifts are bought and used in production). Note that the fact that forklifts are produced by means of forklifts, is central to this perverse effect (the absence of any discussion of re-switching in Robert's discussion of the capital debates is telling). Here it is also worth understanding why Sraffa used the old classical and Marxist terminology of means of production rather than factors of production. A means of production is produced (like the forklift) by using means of production (including forklifts). Robert is actually utilizing the notion of a factor of production, even though he uses emptily the same terminology as Sraffians (means of production), which means that the impact of the production on capital goods (forklifts) on the production of capital goods is actually ignored. Further, Robert does NOT deny that supply and demand determine prices and by substitution lead to allocation of resources (which makes him, and all Austrians, marginalist). * He seems just to be suggesting that a monetary rate of interest might be at some point different than the rate of remuneration of forklifts. ** And it sure can. However, there must be some reason, for an agent not to invest in forklifts if the remuneration is higher than the monetary rate of interest. With free entry, and using Robert's conventional (Austrian) supply and demand logic, the entry should bring prices down, univocally lead to more demand for forklifts and equalize the marginal productivity of the forklifts and remuneration to the natural rate of interest. Note that this opens up the question of the time preference, the other leg in Loanable Funds Theory of the rate of interest. Assume that you start from a situation in which the rate of return on forklifts is the same as the monetary rate of interest. Now assume that for some reason (Robert would say a change in intertemporal consumer preferences) the monetary rate of interest changed. Then, all of a sudden the demand for forklifts should increase, and the prices of forklifts go up, reducing its remuneration to the new equilibrium. This is when Nick's post comes in handy (again, link here). Nick shows a very conventional story of the Loanable Funds Theory. On the one hand, we have the conventional Production Possibilities Frontier (PPF, in red), which shows how much more consumption in the future can be obtained by using less resources to produce consumption goods in the present. That is basically the marginal productivity story, in this case with the traditional neoclassical assumption of marginal diminishing returns, since the technology only allows for more consumption tomorrow at a decreasing rate (graph from Nick's post). In addition, Nick suggests that the marginal productivity of capital is NOT necessary to determine the rate of interest, but the marginal rate of transformation at which we transform less consumption goods today into more tomorrow does. Actually this is an empty distinction, since the rate at which one investment good allows you to produce (transform) more consumption goods in the future is, essentially, its marginal productivity. This is an old and well-known confusion by Bhöm-Böhm-Bawerk, who wanted to suggest that interest rates were not the remuneration of marginal productivity of capital. His solution revolved about the notion of roundaboutness of productive process, and it does not scape the notion that marginal productivity is still relevant in the Austrian framework, and Wicksell, as well as Fisher (and if I recall correctly even J.B. Clark was too) seemed to be aware of the limitations of Böhm-Bawerk's analysis (a full explanation would require another post). In sum, this is another case of a mainstream author that does think that markets (supply and demand) determine prices efficiently, producing the correct allocation of resources (in this case capital) confused with his own theory (for a similar lack of understanding of his own neoclassical theory by Noah Smith go here). There is the added perversity of trying to use a critique of his own theory (the capital debates) to show that the theoretically challenged but politically progressive Piketty is wrong (he is, but that idea of wealth taxes is NOT the problem). The lack of understanding of neoclassical economics by neoclassical economists is, not surprisingly, a result of their defeat in the capital debates, and the fragmentation of teaching thereafter, something that I referred to as the return of vulgar economics. It could be said that the mainstream graduate programs are now basically the production of confused economists by means of confused economists. * Actually his argument against Piketty's tax is that it would distort prices, and hence the incentives for entrepreneurs to invest, being detrimental to growth. So there is a lot of faith in the powers of supply and demand to allocate resources efficiently. ** One wonders if Robert read the Hayek-Sraffa debate on own rates of interest, in which Hayek committed a similar mistake. *** Again here there is a terrible confusion in Robert's understanding of the meaning of the intertemporal models, since the latter presume, inconsistently, that the notion of a uniform rate of profit can be abandoned. That's why the intertemporal General Equilibrium models remain short-term models. By the way, as shown in the graph above the determination of the rate of interest (1+r), which is the slope at the tangential point of the PPF and the indifference curve, is the natural rate and is open to the capital debates critique. Central banks responded with exceptional liquidity support during the financial crisis to prevent a systemic meltdown. They broadened their tool kit and extended liquidity support to non-banks and key financial markets. Many want central banks to embrace this expanded role as “market maker of last resort” going forward. This would provide a liquidity backstop for systemically important markets and the shadow banking system that is deeply integrated with these markets. But how much liquidity support can central banks provide to the shadow banking system without risking their balance sheets? I discuss the expanding role of the shadow banking sector and the key drivers behind its growing importance. 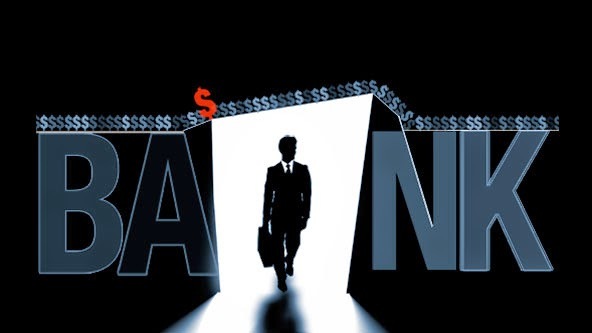 There are close parallels between the growth of shadow banking before the recent financial crisis and earlier financial crises, with rapid growth in near monies as a common feature. This ebb and flow of shadow-banking-type liabilities are indeed an ingrained part of our advanced financial system. We need to reflect and consider whether official sector liquidity should be mobilized to stem a future breakdown in private shadow banking markets. Central banks should be especially concerned about providing liquidity support to financial markets without any form of structural reform. It would indeed be ironic if central banks were to declare victory in the fight against too-big-to-fail institutions, just to end up bankrolling too-big-to-fail financial markets. *Thorvald Grung Moe is a senior adviser at Norges Bank. The Great Recession officially ended in June 2009, nearly five years ago. However, the labor market has made agonizingly slow progress toward a full recovery, and the slack that remains continues to be devastating for workers of all ages. The U.S. labor market still has a deficit of more than 7 million jobs, and the unemployment rate has been at 6.6 percent or higher for five-and-a-half years. (In comparison, the highest unemployment rate in the early 2000s downturn was 6.3 percent, for one month in 2003.) The weak labor market has been, and continues to be, very tough on young workers: At 14.5 percent, the March 2014 unemployment rate of workers under age 25 was slightly over twice as high as the overall unemployment rate, 6.7 percent. Though the labor market is headed in the right direction, it is improving very slowly, and the job prospects for young high school and college graduates remain dim. A key finding of this paper is that there is little evidence that young adults have been able to “shelter in school” from the labor market effects of the Great Recession. Increases in college and university enrollment rates between 2007 and 2012 were no greater than before the recession began—and since 2012, college enrollment rates have dropped substantially. This means there has been a large increase in the share of young high school and college graduates who are idled—neither employed nor enrolled in school—by the weak economy. This represents an enormous loss of opportunities for this cohort that will have lasting consequences. Current flows of taxes on the upper percentiles of the income distribution and transfers to the bottom in the USA are on the order of ten percent of GDP. Meanwhile the income share of the top percentile rose by more than ten percent between 1980 and 2010 (Taylor, et. al., 2014), to a large extent due to a rising profit share. The tax/transfer program would have to be doubled in size (emphasizing estate taxes inparticular) to offset the “autonomous” increase in the profit share. On the policy front such an effort may not be likely. With regard to political economy, the increase in the profit share (and therefore the profit rate) was not so autonomous after all. It was the outcome of a sociopolitical process which could be reversed. ... public intervention would go a long way toward maintaining aggregate demand and reducing capitalist control. Otherwise, wage repression leads to secular stagnation by enriching the rentier. Along the same lines of Galbraith and Palley Lance suggests that more than taxes would be necessary to reverse the conservative agenda of financial deregulation, union bashing and pro-market reforms that have dominated economic policy for the last 30 years or so. Daniele's website is all revamped, and here is a new post, which is based on Goodwin 'Marxist' or Class Conflict business cycle. At some point I should post something about it, since this is one of the seminal profit-led models, which I have criticized somewhere else. Notice also that Goodwin model suggests that the inflation barrier is at full employment. "The key point is that the model generates endogenous cycles, that is fluctuations that are independent of shocks (such as monetary policy, fiscal policy, or supply shocks)." Kaldor (1940) and Goodwin (1951) non-linear multiplier-accelerator models would also fall into that category, by the way. 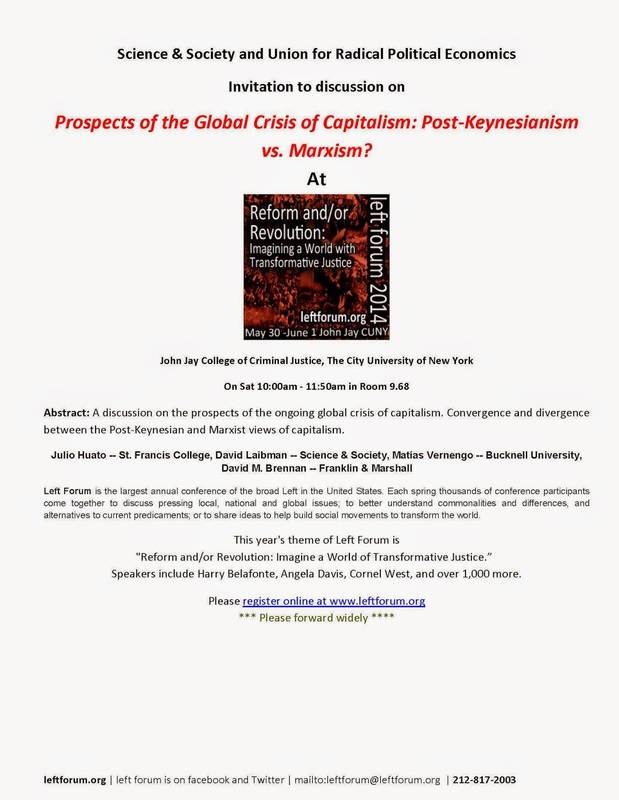 Prospects of the Global Crisis of Capitalism: Post-Keynesianism vs. Marxism? At John Jay College of Criminal Justice, The City University of New York. On Sat 5/31 10:00am - 11:50am in Room 9.68. Not sure about it, but I think I might be the post-Keynesian in the panel. Oh well, I can play that role too. "Suppose someone sits down where you are sitting right now and announces to me that he is Napoleon Bonaparte. The last thing I want to do with him is to get involved in a technical discussion of cavalry tactics at the battle of Austerlitz. If I do that, I’m getting tacitly drawn into the game that he is Napoleon. 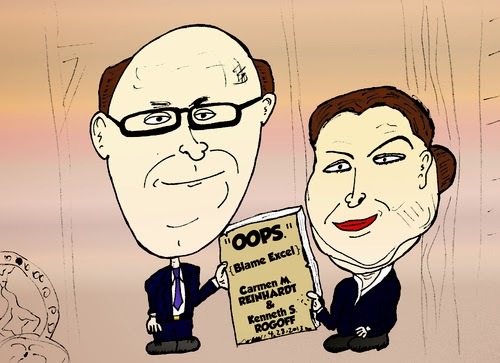 Now, Bob Lucas and Tom Sargent like nothing better than to get drawn into technical discussions, because then you have tacitly gone along with their fundamental assumptions; your attention is attracted away from the basic weakness of the whole story. Since I find that fundamental framework ludicrous, I respond by treating it as ludicrous – that is, by laughing at it – so as not to fall into the trap of taking it seriously and passing on to matters of technique." His quotes were often better than his models. In the comments to another post it was suggested that I checked Robert Murphy's discussion of the relevance of the capital debates for Austrian economics. * The basis for my comments is Murphy's recent post on the topic here. It seems that the capital debates are somehow connected to a critique of Piketty's views on inequality from an Austrian point of view, but the post here, which was also linked in the comments, is less than clear about that. The question is why would the capital debates, which basically criticize the main tenets of marginalism, be relevant for a marginalist school of thought like the Austrians. Shouldn't the logical flaws of marginalism affect Austrians too? [The answer is yes, by the way, but we'll get to that]. First of all, Murphy gets the main point of the capital debates wrong. He seems to think that the lack of a natural rate of interest results from the difference between aggregate capital, which must be measured in monetary terms (which he refers to as financial capital), and physical capital (which he, interestingly, refers to in the Sraffian terminology of Marx and the classical political economy authors as produced means of production). Note that it does NOT matter whether capital is in aggregative (monetary) form or if you have an array of physical capital goods, as I explained before, it is still necessary to equate aggregate investment to savings. In Keynesian economics the equalization of investment to savings is done by the multiplier process and by variations of the level of income leaving space for a monetary story for the rate of interest. In all neoclassical (marginalist) models, including the Austrian, it is the rate of interest that equilibrates investment to full employment savings. That rate of interest is the natural rate of interest. Murphy seems to think rather confusedly, that the idea of disaggregated capital implies that Austrian (really it would be the case for any model without aggregative measures of capital, like the Arrow-Debreu General Equilibrium too, which is hardly an Austrian model) models do not have a natural rate. 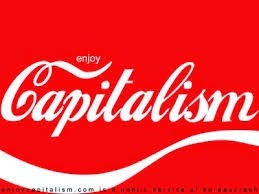 ** Let me repeat it then, any model with disaggregated means of production (capital goods) still requires for the equilibration of aggregate investment to full employment savings, it requires a measure of the quantity of capital that corresponds to aggregate investment, and that means, by necessity, a rate of interest that equilibrates investment and savings. The point of the capital debates is that there is no direct relationship between the intensity of the use of capital and its remuneration, that is, no guarantee that at lower rates of interest more capital would be used, and full utilization of resources would be produced by the free interplay of market forces (something that Murphy, as an Austrian, believes in). Worst, Murphy seems to think that the capital debates applies only to the capital market. He says: "the relationship between the productivity of capital and the interest rate is not directly analogous to the relationship between the productivity of labor and the wage rate." As it turns, the point of the capital debates is that if you reduce the wage rate, there is also no guarantee that more labor would be utilized, and there is no necessary relationship between marginal productivity of labor and real wages (and the evidence in favor of that is also flimsy, to say the least). In other words, the capital debates apply to the marginalist labor market too. No 'factor of production' is remunerated according to marginal productivities (Samuelson got that right, all the neoclassical parables are problematic, and it is a bit surprising to find this amount of confusion so long after the capital debates have been resolved). So its seems that it is not just Piketty that "has no clue about Capital." The fascinating thing about Murphy's critique of Piketty's lack of knowledge about capital, is that for him this suggests that Piketty's wealth tax would be a bad idea (note that critiques from the left, like Galbraith or Palley are not against a wealth tax, but suggest that inequality must be combated in other ways too, with stronger unions, more regulated capital, full employment policies, etc.). Here Murphy seems to think, like Tyler Cowen, that taxes would punish entrepreneurs and reduce the dynamism of capitalism. Because, you know (wink wink nudge nudge, say no more), without taxes, and other impediments, capital would be more efficiently utilized. So here is an economist that criticizes higher taxes as the solution for inequality, by suggesting that the notion of capital used to defend a wealth tax is flawed, and uses that very same flawed notion of capital (without even getting it) to defend a laissez-faire solution. * By the way, not the first time I'm asked to comment on Austrians (see here and here). Austrians stand for economics like Libertarians for politics, and they are a militant group, which would be my guess of why there are so many people concerned with Austrian theory. Love for Hayek and Ayn Rand are highly correlated among teenage students, in my experience. And that's not very good company for Hayek. ** The fact that Murphy does think the capital debates are about aggregation is clear when he asks: "Does anyone know, does Piketty’s book elsewhere deal with the problem of aggregating capital?" David asked me about this paper, published in an interdisciplinary book (meaning a book that nobody, in any discipline, reads). It is about what Schumpeter referred to as the Tax State (the paper is "The Crisis of the Tax State" from 1918). By the way, this paper, written right before he actually became Finance Minister in Austria, is by far his best, much more relevant than his cycle theory, which remains essentially Austrian and associated to real shocks (yes there is a link between Schumpeter and the Real Business Cycle School). The rise of the tax State can be seen as a struggle over who would carry the burden of taxation. Originally taxation was the sole burden of the working class, while the elites were free from taxes. Public debt as a form of repayable taxes fell on the shoulders of the elite; but that was not an excessive burden. Industrial development, urbanization, the democratization process, the enlargement of the franchise and progress in general meant that the burden of taxation was gradually shifted towards the privileged. That, however, has proved to be more problematic. The revolt of the elites has reversed considerably, in a relatively short period of time, the long process of formation of the tax State. The general unifying theme of the book, I should note, was power, and I suggested (not very originally I might add) that it has been often absent in mainstream economics. Reading the April World Economic Outlook (WEO), a biannual IMF publication (more to be posted soon). You can download all the data, which is always useful. Just playing around. Note that in the last decade the share of World GDP produced by advanced economies shrunk from around 80% to approximately 60%. 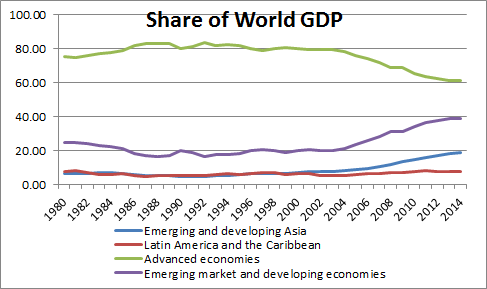 On the other hand, developing countries expanded from 20% to closer to 40% of World GDP. The fact that China might be the biggest economy in the world has been in the news recently. Note that most of this increase in the periphery is in Asia, which increased from around 7% or so, essentially the same level than Latin America, to 20%, while Latin America (which did expand in the last decade; the graph doesn't show it well because of scale) remains at the same level than 1980, recovering from the lowest point in the 1990s. 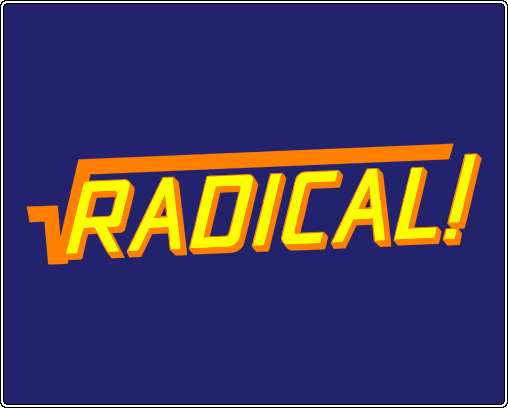 Radical economics, the term as much as the theories behind it, is fundamentally a phenomenon of the 1960s and the academia in the United States, intrinsically tied to the upheavals of that transformative decade, in particular the Civil Rights movement and the war in Vietnam. The Union for Radical Political Economics (URPE) was the result of that boom in interest for alternative approaches to the mainstream. I don’t intend to write a history of URPE, in this brief post, but I want to contrast Radical Economics with the term Heterodox Economics, which has gained traction more recently (see Ngram viewer figure). PS: I started blogging at the URPE blog too. Check it out here. No need for a lot of discussion. The Golden Age of Capitalism (in the graph 1947-79)--the world that resulted from the reforms to deal with the Great Depression (the New Deal) and the reorganization of the world after the victory against Fascism, with strong unions, high taxes for the rich, and a string of social programs for the poor and minorities--was a better world. Great video post by Trixie the "Haiku Charlatan," who blogs at Hit or Miss. Enjoy! Someone asked me this week why the blog is named Naked Keynesianism. It was in the very first post in February 2011. The story was on Fox News, about what Jamie Galbraith was teaching his students. Naked Keynesianism! And that seemed the perfect title for the blog. At the end of the day, names do not matter, the content is what is relevant, but the Fixed News 'journalists' turn out to show a lot about the true content of their views. What was the line? "What’s in a name? that which we call a rose; by any other name would smell as sweet." For Fixed News Keynesianism does NOT smell like roses. A while ago at the New School I participated on a panel on the role of the Economics Department there in academia. As I said back then I think that heterodox graduate programs are in the business of the production of heterodox economists by means of heterodox economists (my definition of the heterodox camp here). In that respect, UMKC is one of the few departments that continues to do that in the US. As I posted earlier, the retirement of two faculty members and the financial cuts may result in a significant additional burden on the economics department there. Note that this is true whether the cuts are ideologically biased or not, and simply result from the financial burdens associated to the economic crisis. Below a letter from Christian Dodge a graduate student at UMKC. It represents a view of what is going on more broadly at the University. Note that student mobilization can be, and it has been in other cases, important in preserving the character and vitality of the institutions they belong to. As many of you are aware, higher education in the United States is under tremendous pressure to cut costs (i.e. hire exploited adjuncts). UMKC is no exception. As such, our economics department has come under fire as a result of a history of poor funding from the state of Missouri, and from a special initiative of the UM president to build a 60-90 day cash reserve (which is roughly 60-90 million dollars). The budget cuts are crushing our ability to grow with the larger and larger population of individuals dissatisfied with orthodox economics. 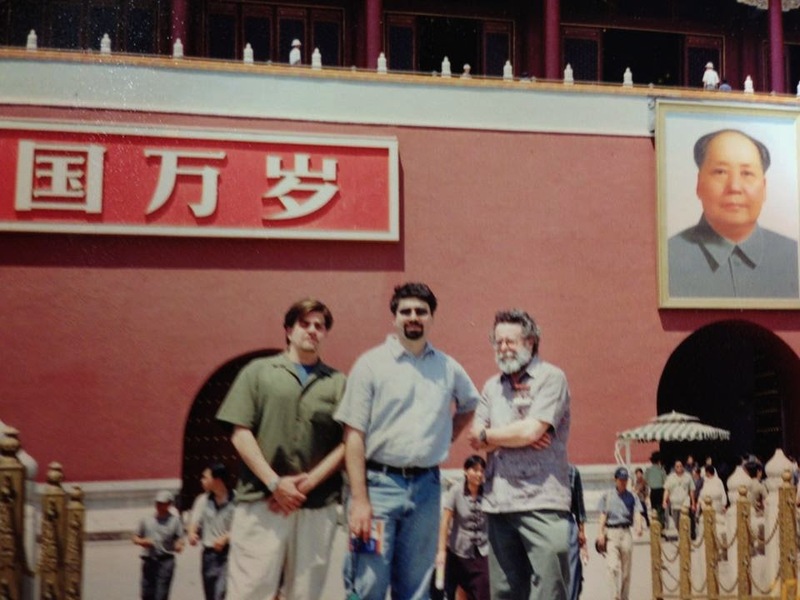 More than that, we are losing two excellent professors, John Henry to retirement, and are somewhat unexpectedly losing our heterodox microeconomics professor Fred Lee. The bean counters in administration feel that these individuals can be replaced by adjunct faculty; they just don’t understand, like we do, that economics professors are not substitutable goods (nor are other goods!!)! As members of the student movement, we have been collecting data to argue our case for 4 new professors and to replace our current losses. Here is what we know. UMKC uses the Delaware Cost study to determine how productive each department is relative to peers (University of Kansas and University of Missouri – in our case). One important note: UMKC is an urban commuter college which puts us at a disadvantage relative to our peers who are universities with large residential enrollment. The study uses two, asinine, metrics for determining how costly a department is. One measure counts the costs of compensation for full time faculty, divided by the number of students instructed. The other metric counts the costs of compensation for full time faculty, divided by total student credit hours attributed to the department. As a result, and because of the strong emphasis on the cost side and because we are an urban commuter school, any overstatement of costs can be very harmful to our department. For one example of overstatement, we are allocated the costs of compensation and overhead of the Missouri Council for Economic Education (MCEE) (a non-profit group), which is unassociated with our department. We have estimated such costs to be roughly $200,000 in salaries. In short, the cost is no spare change. In addition, the MCEE has a fairly neo-liberal agenda, which is diametrically opposed to what we stand for, and you stand for, in our department. We think the costs of such an organization need to be counted somewhere else. We are asking you today, for your support. If you think, as we strongly do, that heterodox economics is important not only theoretically, but for the betterment of the world, please e-mail, telephone, or write a letter to one of the people listed below. 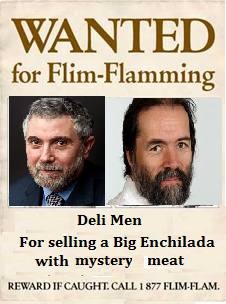 Also, let the individuals listed below know that to continue to be an epicenter of new heterodox thought we need to replace Professor Henry and Professor Lee, and also that to grow with student demand, we need 4 more professors – in fields such as development, labor, feminist economics, and ecological economics. Thank you to Matias for allowing us this forum, and thank you to all of you for your support. New Keynesians assert — as Keynes did, although I don’t think it matters for this debate what he said — that both liquidity preference and loanable funds are true. There are conditions under which one or the other is the main one to focus on — at full employment, loanable funds are crucial, in a liquidity trap, liquidity preference. Oh Lord. Paul can you send us the quote were Keynes says that Loanable Funds is correct? And again this is NOT about irrelevant exegesis. If you do have that Investment and Savings are equilibrated by a natural rate of interest, then that means that you must, with interest rate flexibility, reach a point at which investment would equate the full employment level of savings. Krugman and other New Keynesians argue then for a version of what they call a Liquidity Trap (actually a zero lower bound problem), in which the monetary rate of interest (of the Liquidity Preference Theory) is not capable of equating the natural rate (of the Loanable Funds Theory). I think, is a fairly desperate attempt to claim that the Great Recession and its aftermath somehow prove that Joan Robinson and Nicholas Kaldor were right in the Cambridge controversies of the 1960s. As I noted it is logically required to get rid of the idea of the natural rate, and there is no need to argue that in the 1960s capital debates Robinson and Kaldor (Sraffa really, dude) were right, since Samuelson (1966; subscription required) already did. * The capital debates show that there is no correspondence between the intensity of the use of capital and its remuneration. No natural rate of interest that would lead to more intensive use (full utilization) of capital. And that's what Samuelson admited. To understand the capital debates go here, and to get its relation to Keynes' theory go here. PS: Krugman also gets a bit testy suggesting that: "as for wage and price inflexibility as the cause of unemployment — grrr. I’ve written again and again on this subject, pointing out that in a liquidity trap price flexibility probably makes things worse, not better." Yes, grr. Dude, first it's not a liquidity trap that you're talking about, but a lower limit to nominal rates of interest. And debt-deflation and negative effects of income distribution discussed in chapter 19 of the GT occur even if you are not at the lower bound (or the real liquidity trap). And Keynes said that the liquidity trap was irrelevant to explain the Great Depression, it's worth noticing, since really it seems you never read the GT (even though you wrote a preface to one edition). So price flexibility in a world with extensive debt contracts and where income distribution affects spending is always kind of bad. That's Keynes' message. Tom is correct on that one too. Two faculty members at UMKC are retiring, or so it seems, John Henry and Fred Lee, at the same time that cuts led to a new policy according to which full-time faculty would be replaced as they retire with adjuncts. This can only hurt small departments like the economics one. Students have posted here a Statement against this policy. There is a possibility that this is not unrelated in the case of economics to the type of approach of the department. It would be sad indeed if in the post-crisis period, in which many organizations and economists admitted that change in the way economics is taught if another heterodox department was under attack. The infamous Notre Dame case is still fresh enough, and should serve as a cautionary tale. More on this later. Marginal productivity theory remains at the core of mainstream distribution and production theory. However, marginal productivity can be adjusted for imperfect competition to yield, what might be called, adjusted marginal products. Thereafter, things remain analytically very similar and those adjusted marginal products then determine the stock demand for capital and drive long-run capital accumulation. The imperfect competition model of so-called New Keynesians continues to assert price and nominal wage flexibility would restore full employment. In a financialized economy with massive inside debts, that strikes me as an implausible proposition. Both require to be solved and provide a real alternative that the notion of the natural rate is abandoned. Note that this would strengthen Wren-Lewis and other New Keynesian arguments.